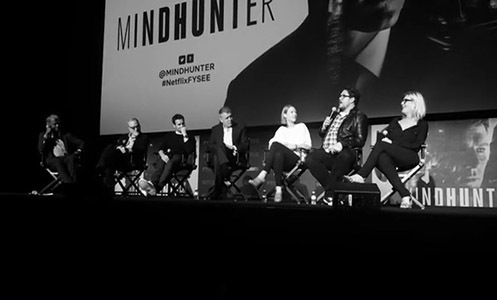 Jonathan Groff, Holt McCallany, Anna Torv, Cameron Britton, David Fincher, Erik Messerschmidt, Steve Arnold, Jennifer Starzyk, and Laray Mayfield attended the Mindhunter “For Your Consideration” Event at Raleigh Studios on June 1st, 2018. Check out our galleries for the latest photos and videos. Jonathan Groff, Holt McCallany, Anna Torv, and Cameron Britton sat down with Vulture’s Abraham Riesman for a conversation about Mindhunter at the Vulture Festival on May 20th. Vulture has made the full panel available at the link below! Netflix keeps working on adding addictive series online. Their latest is Mindhunter by David Fincher (Se7en, House of Cards, Gone Girl) which feeds our fascination with serial killers. The series is about the early days of the FBI profiling unit where research was done into the motives and backgrounds of serial killers. Leading roles are two FBI agents (Jonathan Groff and Holt McCallany) and psychology professor Wendy Carr (Anna Torv). We spoke exclusively with the Australian Torv (38) about the new Netflix hit. 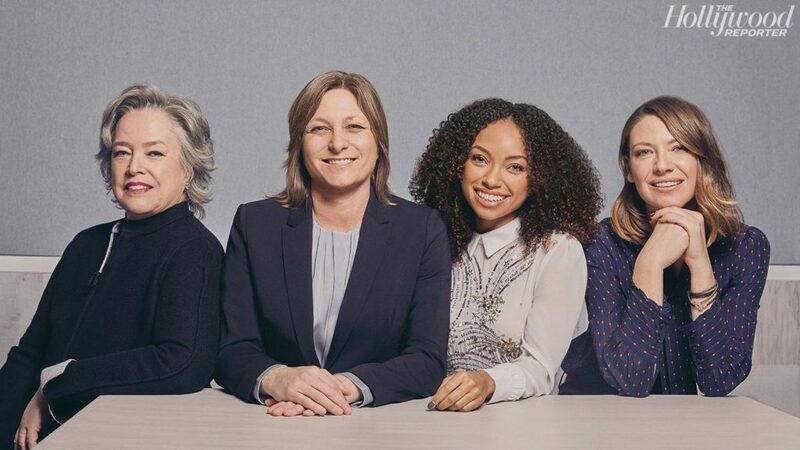 Anna Torv is featured alongside Kathy Bates, Cindy Holland, and Logan Browning in the 2017 Women in Entertainment Power 100 issue of The Hollywood Reporter magazine! The 22nd Annual Excellence in Production Design Awards will announce its TV nominations on January 4th. Winners will be announced on January 27th. Mindhunter will be contending for production awards in the “One Hour Period or Fantasy Single-Camera Series” category. 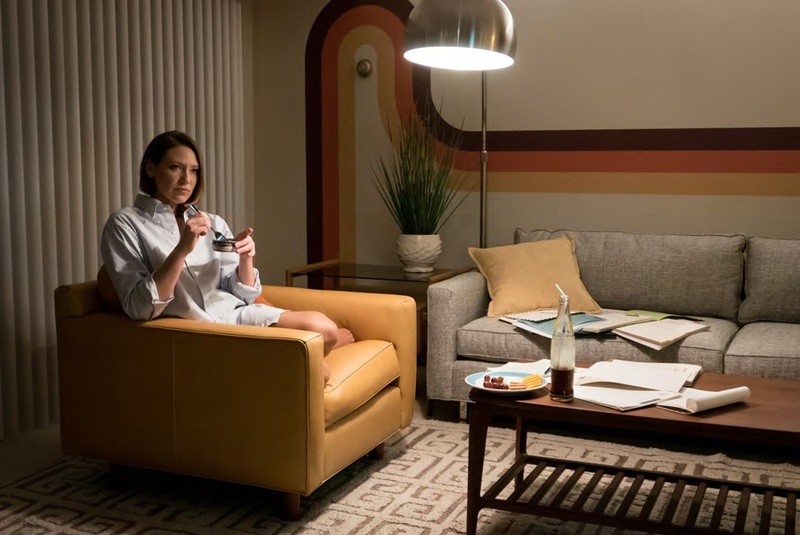 The Art Directors Guild has released a Mindhunter Design Presentation featuring 38 new production stills from the series. Check out our gallery HERE to view the complete set! The actress intends to understand how the mind of a serial killer works in one of this season’s revelatory series. However, if serial killers are a recurring element in crime shows and movies, don’t expect the typical uses here. 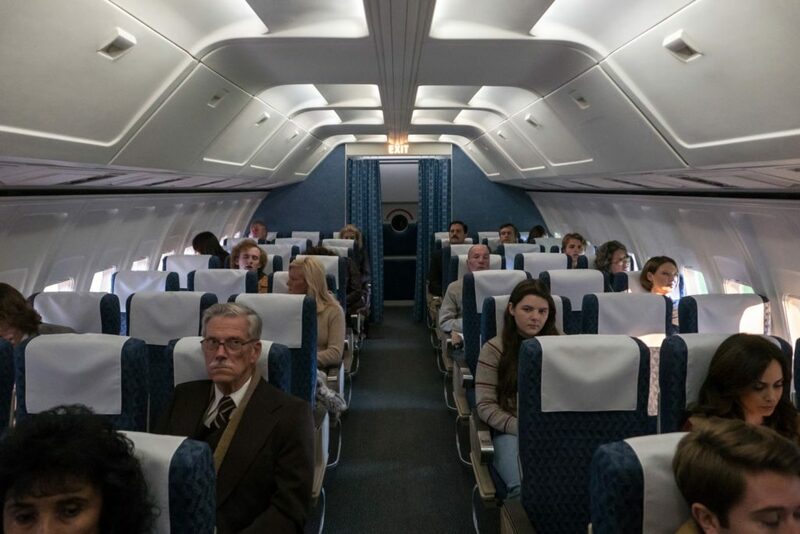 In Mindhunter they speak about serial killers but there is no action, nor blood, nor crimes or victims on the screen. There are only photographs of the homicides. And with this it is more than enough for Fincher and the three main actors, Jonathan Groff, Holt McCallany and Anna Torv, to keep you on the edge of your seats episode after episode, in a spine-chilling environment, but definitely fascinating. 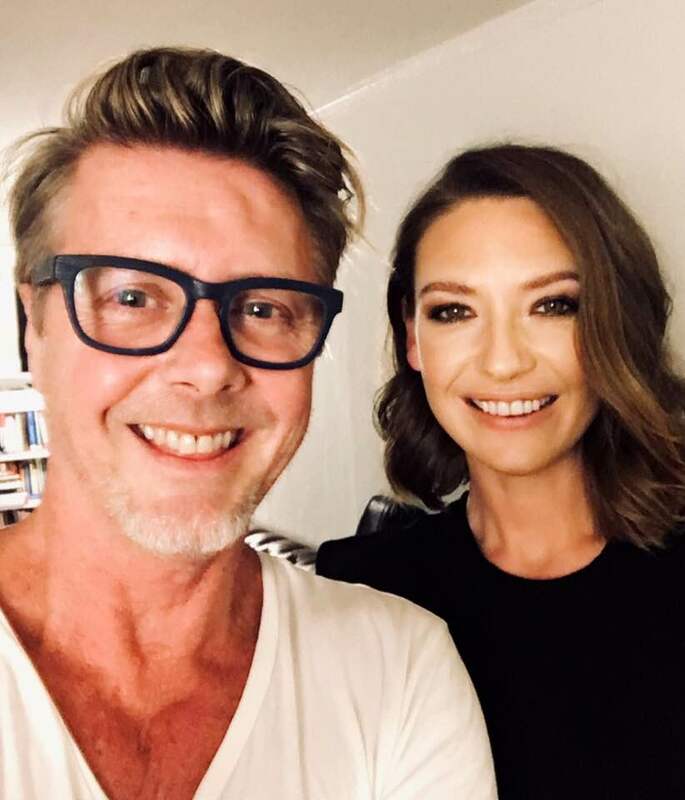 The actress stars in “Mindhunter”, a show that explores the origins of applied criminal psychology. Television and cinema have given shelter to some of the most perverse minds of humanity. Stories about serial killers, mobsters or criminals of any kind have fascinated current viewers as crime novels and noir did at the end of the 19th century. Various numbers of fans of shows like ‘C.S.I’, ‘Criminal Minds’, ‘Cold Case’, ‘Law & Order’ know professional terms such as ‘crime scene’ or ‘profiling’. But everything has an origin. “Mindhunter”, the latest Netflix phenomenon, travels to the late seventies to discover how psychology began to be applied to criminal investigations. At a time when everything was yet to be discovered (such a common term today like ‘serial killer’ didn’t exist back then and investigators invented ‘sequence killers’) two FBI agents decided to think ‘outside the box’ and search for new police methods. 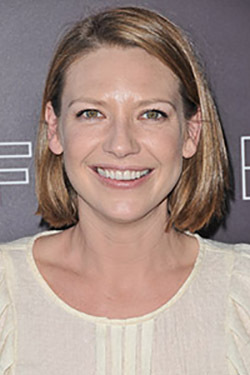 They were advised by the researcher Ann Wolbert Burgess, to whom the actress Anna Torv gives life. 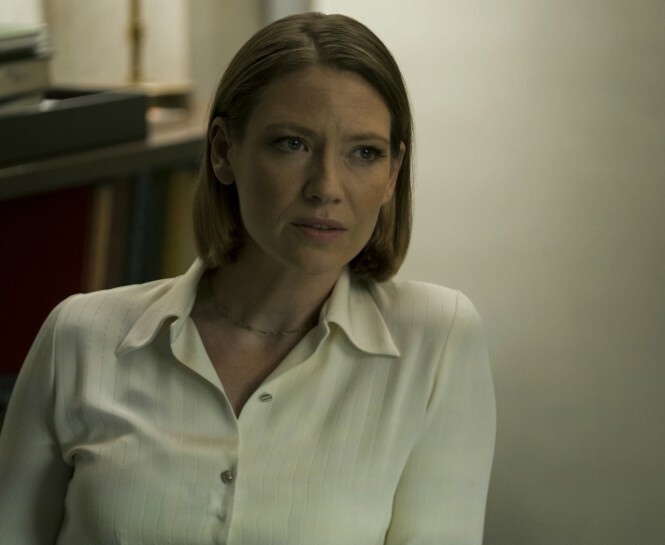 The actress, who is under David Fincher’s command in this production, spoke to ABC about the show and how digital platforms have ‘radically’ changed how we watch TV today. 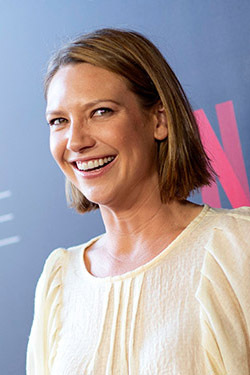 Anna Torv attended the Hollywood Foreign Press Association (HFPA) and InStyle’s Golden Globe party at Catch LA on November 15th. The night kicked off awards season as we count down towards the 75th Golden Globe Awards which will take place on January 7th, 2018! 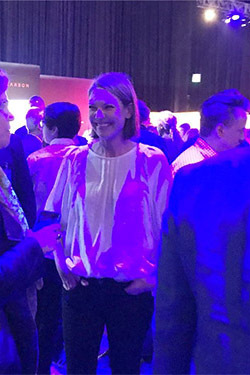 Here we meet with Anna Torv and ask her what we wonder about both the series and the character Wendy. We hope you to enjoy reading this interview specially for Marieclaire.com readers.